Baileys Group Directors Scott Bailey and cousin Guy Bailey in conjunction with Tim Crosland, have salt water in their veins. For more than 30 years they have built businesses in the marine and marine transport industries and more recently in water-based and waterfront tourism. They all grew up on the West Australian coastline, boating and regularly visiting Rottnest Island. Starting from an Agency for the Shell Company of Australia in The Fremantle Fishing Boat Harbour in 1986, Bailey’s Marine Service, as it was known back then supplied Fuel and Oil to the local Marine Industry. The company grew along with its customers to supply Fuel and Oil in the Ports of Western Australia and the Northern Territory. During this time, it formed a partnership to establish Australian Commercial Marine, a business that became a large provider of Marine Equipment to the Fishing, Pearling, Oil & Gas and Defence Industries. Australian Commercial Marine grew from a two-man operation to become Australia’s largest supplier of marine equipment until it was sold to UK public company in 2003. It was during this time of major growth, that Guy Bailey joined the business in 1997 after spending time in the Insurance and Aquaculture Industries, to assist in the growing and management of the fuel network. Construction started on Broome Pipelines, followed by two southern Ports and the acquisition of a portfolio of sites from Shell and from Mobil, forming the backbone of the Bailey’s Marine Fuels – Australia fuel network. Tim Crosland joined the team as General Manager, coming from a background with Shell Company and an international manufacturing and distribution business, to consolidate the management team imparting his significant knowledge. The fuel supply business was sold to Caltex in 2011 as the largest Marine Fuel Distributor in Australia. During this time Baileys Group developed 2ha of waterfront land in Balmain, Sydney which includes the largest marine fuel outlet in Sydney Harbour, dry boat storage, and marine repair facilities. 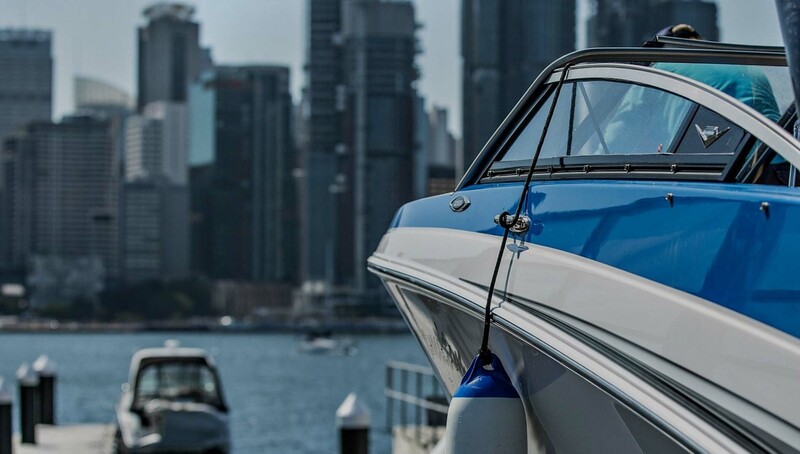 Baileys Group continue to operate and invest in this business which is known as White Bay 6 Marine and have grown it into truly integrated marine precinct that supports the activities of Sydney’s Working Harbour. In June 2007, Baileys Group purchased ferry operator Rottnest Express when they believed Rottnest was experiencing a downturn. They rebranded and built up the business, which won several Western Australian Tourism Awards and grew to carry 400,000 passengers per year. November 2016, Bailey’s Group entered an agreement with two other significant Australian Tourism Companies. Great Southern Rail, that operates Australia’s two transcontinental train journey’s, The Ghan and the Indian Pacific, along with the Overlander connecting Melbourne and Adelaide. In addition, Cruise Whitsunday’s that operates a fleet of vessels and award-winning day experiences in the Whitsunday region of Queensland. The three companies with the backing of Quadrant Private Equity formed Experience Australia Group (EAG) a national tourism business that has aspirations of growing into Australia’s largest experiential tourism operator. Bailey’s Group has a shareholding in this new company and looks forward to its continued growth. The Baileys Group connection with Rottnest Island continues to strengthen with the development of Pinky’s Eco Retreat. In December 2015, they were named as the Rottnest Island Authority’s preferred proponent to develop eco based accommodation at Pinky’s Beach, and have now been given the go-ahead to build an 86-tent Eco Retreat and Beach Club. They recently acquired the newly-branded Thomsons Rottnest (formerly Aristos Restaurant) on Rottnest Island which has undergone a complete refurbishment and repositioning over winter, and has a focus on fresh food sourced from local WA suppliers wherever possible.